Founded in 1973, the club is based at The Ruth Gorse Academy in Leeds City Centre and enjoys some of the best facilities in the country. 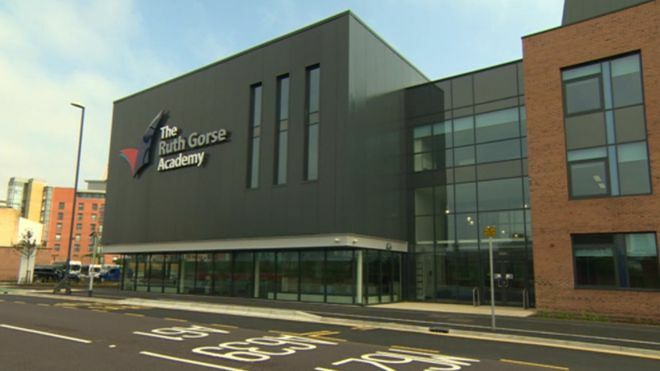 The recently opened school is named after Ruth Gorse, a former PE teacher and player for Leeds VC, who was sadly lost to breast cancer. Leeds VC and TRGA have established a partnership to grow volleyball participation in Leeds. So if you are interested in giving volleyball a try or are returning to the sport then get in touch with us via the Contacts page. The club supports three men's teams (one in National League Division 1, one in the Yorkshire Premier League and one in Yorkshire Div 1 and three women's teams (one in National League Division 2 North, one in National League Division 3 North and one in the Yorkshire Premier League). Further information about each team can be found by clicking on one of the links below. Leeds RGA VC is always open for new players of all ages and abilities... So why not come and give it a try??! !